Real or not real.. It doesnt really matter. Murray have said these setences. "Thank you for such kind words of support. There are many lies surrounding me, I ask you not to judge, but to wait for the truth. God Bless"
Thank you for believing in the hoax and realize I'm not guilty. There are many lies, and you have seen it. You can't judge me for this hoax, because I havn't done anything wrong. I am just helping Michael. Wait for the truth, and everything will be fine. God bless. Re: Does Murray have twitter? That's not my point if the account is real or not, really. He have said this setences/statements in that video on YouTube.. Have faith, the truth will prevail. "I ask you not to judge, but wait for the truth. God bless"
-This guy is either just being honest about the hoax. -He had given propofol to MJ, but he didn't die because of that, the family is lying because they did something theirself to MJ. -Or he is lying badly and should be at least punished after this statements of giving propofol, then blame it on other even though he made MJ die.. I'd love to know who these people are that are supporting him, certainly not Michael Jackson fans. But in his statement he said, that he's afraid to answer the phone or check the mailbox---and then create a twitter account?ß No way! The account is probably fake, but his statesments arn't. -Ofcourse he is afraid if this is just a hoax.. But if Michael is dead, this psycho-man have no rights to live. Well I do not know but if MJ does not come back or give any proof of life I think that this man will need to go into hiding. A lot of Michael's fans are pretty strange - I would not like to be him! following him is mackculkin but i got him from kiachase which i got from this site a long time ago so they are all linked and looking at mackculkin things are getting angry the people following him and he seems to be calming them down and telling them to wait and see what happens so this is all odd.I hope the doc is safe as it is worrying for him as i dont think he did it i feel he is playing his part. macaulay culkin does not have a twitter account. his & kia chase's are fake because they follow a fake Prince account. please do not give these fake people attention. they are only craving to hurt vulnerable fans. Shouldn't he be hiding under a rock somewhere? Why is he on twitter?! :? as much as I'd love to believe this, i some how doubt Murray is off in twitter land. Sounds like a hoax-troll to me. Now, I don't use Twitter, and think a lot of these things are crap...but consider we do not have all the facts about this case. What if all is not what it seems, just like with MJ allegations? That twitter could be any poser...but whose words do those remind you of? H,mm.. just read it. He is a cheeky mofo! "He is a father as well"
Yeah, yeah... a father to 7 kids by multiple mothers who he cant pay for and doesnt see. Ive heard one is in Grenada!! Not even in the same country!!! It seems so strange to me that he would have the sheer bloody cheek to tweet something like this in the public domain. Why? A liar, a murderer.. someoone who is a sociopath so doesnt see the irony in his statements or see how they would be perceived. Yes, the family smiling did not seem right to me either. But you know Murray carried a " Michaelish" message before. Do you all suppose this is one too? Afterall, he's being made to look like a drug addict now. Sad but true - no matter what. They are still making MJ look bad! Exactly... so do you not find him tweeting these kind of things slightly bizarre??? those words remind me of something Michael would say :? If Michael is gone, then his kids are WITHOUT their father, & it would be all because this dumbass of a "doctor" gave him Propofol knowing damn well it could be lethal. So if that is his twitter, do NOT expect me to feel sympathetic to you as a "father" since you don't even see your kids, don't support them yet took away Michael's life, intentionally or not. He's actually a FATHER & people never thought about him that way & sympathized with him or gave him a break for his sake or his children's so why should anyone give this guy a break? Unless, this isn't all as it seems like someone said, which is possible at this point, anything is...I'm still so confused. I wanna hate CM if Michael is dead, but I don't feel like he is, nothing seems right & if he is I sometimes feel like black CM might not be the culprit maybe someone else is behind all this & he was hired to pretend. Idk... :? I cant hate him either.. isnt that wierd?? i thought he had forgot he was a father to his what 6 kids??? mj if would seem had so many mean pp around him, its amazing he was/is such a sweety. I hope we are not heading for a suicide here. NOT a real one - God forbid. But one as a shocker for the world to see how far they go without hesitation. And then Michael coming back - oh I don't want to imagine this BAM. There is NO evidence that this man has done anything. There is however evidence that Doc Murray is speaking on behalf of Michael. Did we all see the video? Yes. It is a call. Exactly. He is still socializing on the web. What an odd thing to do when you're about to go to jail. Who is his PR person? I have thought that, why it was reported that Murray page was not real it only has a few tweets on it and they say he does not have a smart phone so i suppose they know it came from a smart phone not a computor because he must have a computor for his work didnt they say about a laptop on Michaels bed it might have been Michaels even though he supposed to not know how to use a computor so kf says ,even though he liked ebay. But to the point it has not been mentioned in the uk paper about murrays fake twitter and at the moment they are going mad about bullying from face book and twitter would have thought they would have heard about this and reported it or am I wrong. I know they said it was a fake twitter months ago but why wasnt it shut down cancelled but here it is again active. Re: conrad murray has just twittered this ! but he twittered a long time ago and tmz said it was a fake account he did not even have a a smart phone so the account laid dormant and then this just now so i thought it might be important. we do not know if this account belongs to Conrad Murray or even it does I am not 100% sure Conrad Murray is real. I think only justice can tell about Conrad Murray. I don't understand WHY some fans behave with him, same way people behaved with Michael about child molestation. We don't have everything said, we only have what is said in the media. So I think we should just wait to know what it's all about. In my opinion, if Michael died it's only because Murray was not a good doctor...If it was murder stuff, it would be better organised...I mean if murray was paid to kill Michael, do you think he would have panic and hide propofol bottles ? It looks more like a doctor who forgot about reality, gave the star what he wa asking, and when he killed him he went back to reality, realizing what he did, what he was becoming and tried to hide all he could. So if not a hoax, we should let Murray facing his own reality, and not judge him by ourselves. Have you noticed CM is trying to show that he is into good health. You know thje recent pics of him, at the gym and at the beach. All trying to look like he is into health, so he never would have hurt Michael. CM twittered this? Is this for real? Who is back. Links are always nice. Thanks. :lol: :lol: :lol: :lol: You had me for minute. Sometimes the paths we travel are not the ones we desire, others choose them for us. The pains of regret are often unbearable. "Sometimes the paths we travel are not the ones we desire, others choose them for us. The pains of regret are often unbearable"
So ..he means he has not chosen this situation ..
1. He really has been paid to kill Michael and he was just an executioner..
2. Michael planned aaaaall and Murray just listens to Michael's order.. In my heart,my beLIEver's part says " of couuuuuuuuurse it's Michael who planned all :D"
Is it just me or the message sounds very Michael-ish? mm.. if MJ wrote this, it might mean he's not having control over some things at the moment and/or there are changes to his plan. Whoever wrote it, DCM/MJ, take heart that God will surely light your path and guide your way! When you read it it could mean so many things . "Reading your kind messages gives me hope my friends" or whatever. Gone. Side note, what's Murray doing tweeting so late at night? Murray is quite the night owl I guess. All the messages he has written are very Michael -ish. Lol, Michael is reputed to have kept those hours hasn't he. Yes that's the one. Why was it deleted I wonder. Do you think it could be Michael talking? How can you regret a choice you didn't make??? Something is wrong with this quote, it's circular and doesn't make any sense. "Sometimes the paths we travel are not the ones we desire, others choose them for us. The pains of regret are often unbearable. " I agree - it doesn't have too much sense. If others chose for him, why the PAINS of regret ? Someday I'll be.. part of your world. "Sometimes the paths we travel are not the ones we desire, others choose them for us. The pains of regret are often unbearable." 1:28 AM Apr 3rd via web"
It just occurred to me... I bet he's talking about digging up Michael's body. Eliza Presley made a similar comment on her Facebook right after the latest Probate Lawyer blog suggested that the court may order the exhumation of Vernon. I don't remember what she said but it was something along the lines of "forgive me Father, this was not what I wanted". I just checked her Facebook hoping to paste the entry here but it's since been deleted. Weird. Anyway, the one reminds me of the other. Maybe CM is talking about the role (path) MJ chose for him and now he regrets it. Conrad has loyal patients who support him, so maybe he regrets giving it up and living in a lie. I dunno; it could mean a lot of things, good and bad. Yes I admit it's a very sujective interpretation :lol: but it fits Michael IMHO. No? ...It makes me think..When Michael's lawyer advised him to pay for the accusation of child molestation ..that thing which made Michael guilty for a lot of people ...so sad.. Thanks. I'm just going to add that I don't think that Michael was told what to do about everything but as you stated maybe some choices in his life he would have prefered to not take advise and do it his own way. Isn't this a very incriminating statement to make on a public networking site? Talking about regret and all, could be taken the wrong way. How are Murray's lawyers allowing this? if it's a fake account as TMZ said..it has nothing to do with Murray i think ..i really don't know what to think about this account.. I think the fact that TMZ mentioned it at all is why we should watch it..
You're right,just because it's mentionned by TMZ we should watch it,but i don't think it's Murray thoughts but Michael's thoughts..
My belief is that TMZ ran an article about Murray's twitter account to draw ATTENTION to it and him, remember other people use twitter and read TMZ besides 'hoaxers". If TMZ can get the General Public to notice Murray's twitter than maybe just maybe the General Public will get curious and start to follow the case and wonder what is up with ALL the wierdness surrounding Michael's "death" and why is Murray doing odd things as a Murder suspect? If Murray's case is a psuedo trial and is being used as a lesson to teach the public about how corrupt The system (judicial and Media) are and especially how corrupt Santa Barbara and LA are, highlighting and exposing what they did to Michael during his trial, the cryptic messages are going to follow what Michael did and would say. When he was bamboozled by the allegations the first time, he had NO Choice in that path he had to walk, and he had NO Choice in the path he walked when he was set up again during the allegations that brought about HIS CHOICE then to go to trial. The path he walked because of other people's choices and actions is what I think is this message. One path that has many PAINS and regrets. Many are inquiring why I have used the platforms of YouTube and Twitter to convey my messages to you, the public. It could not be done any other way or my words would become tainted. Please understand this. First thing i thought :o :o what the is goin on ???????? WHAT could not be done any other way? :? Conveying his message to us, the public. YouTube and Twitter can be used for direct communication by the person owning the account. There's no way for the words to be twisted or taken out of context for the sake of a better story. Okay, I shouldn't have used "better." "Better-selling" would have been more accurate. mikael is speaking to us through murray!! the "doctor" uses his same words.... but,i don't know if they are the same person..... it's possible,everything is possible,in this hoax!! how can we understand if conrad = mike?? If you were the true tweeter of this tweet we just want you to know that we love you more than you ever know. Please come home soon. Buut then he could just be nice like that a 2nd way in seeing this message but my first thought was Michael ;) If it's not him he's speaking through Murray possibly sooo Murray=Michael :?: ? Maybe ;) ? There is someone pretending to be Dr. Conrad Murray -- asking his fans for prayers and support -- but TMZ has learned it's a fraud. "Please consider that i too am a father,do not judge or condemn me until you have walked in my shoes"
Looks like an Michael 's quotation "No one should judge what i've done in my life.Not unless they've been in my shoes every horrible day and every sleepless night"
What's the twitter address and how do we know it really murray? We don't know!it's the only account about Murray wich says interesting things since the beginning.. Reply Retweet It could not be done any other way or my words would become tainted. Please understand this. "DrConradMurray" is not following anyone. 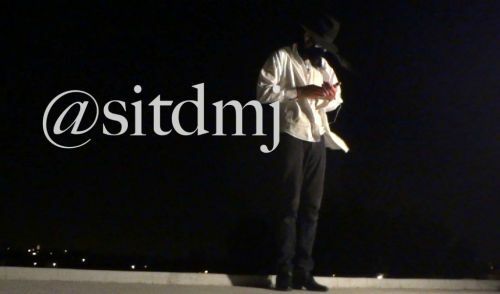 "Thisisalmostit" is following "DrConradMurray", but I think "thisisalmostit" is just a fan like us, I don't think he's michael or anyone affiliated with michael :? I know we don't know for sure it's Murray but I tend to believe that yes, it's his page whoever this Murray might be in reality. one thing that lighted up something for me was the fact that TMZ pointed out about this page as being a 'hoax!". Why actually bother in pointing out this one when there are a couple or more pages of CM to be suspect of being false too. Why exactly this one? Just to make us more attentive at this specific CM twitter page? Exactly. It's like if the whole world says "no" you say "yes". TMZ said "but it's all a hoax" about Murray's twitter. They almost said "it's the real deal"
what is the big picture he's referring to???? I feel like this is referring to the song that people are tearing apart as not being Michael. We have not even heard the entire album yet. What if when we actually buy it, it sounds totally different or the rest of it sounds exactly like Michael or maybe it's the lyrics we need to pay attention to. The lyrics may be the "Big Picture" and not what it sounds like. What worries me is this word "Confined". Is Michael in jail for something or perhaps some hospital or place of recovery where he cannot get out. This would explain Katherine's tears on Oprah. Just discovered something! If you click on Dr Murray's icon picture in twitter and enlarge it to the larger picture there is a picture of an eye in a triangle on the right collar of his suit. I've seen this symbol before somewhere on one of MJ's records. Could this be the big picture he was referring to in his tweet!! Sorry I've tried to paste it in here but i can't seem to. :? It's the ALL seeing eye. The NWO and the eye over the pyramid on usa money. Conny, we been looking at the big picture for nearly 17 months now. You're preaching the choir, lol. I wouldn't worry to much over the use of the word confined. To me it is saying that due to Mike being in hiding because of this "hoax" he is confined in what he can say to us directly and we need to read between the lines. Confined is very obviously metaphorical for "dead" as in alive but believed dead. Pretty confining to not be able to speak directly because to do so would be to give up the secret that you're... not dead. So yes, confined as in cannot move about or communicate freely. "Dead". "To be confined" means to have restrictions, to keep within bounds. To be somehow restricted and have limited area of action. I think I'm confusing confined with "detained" although you can be confined to a cell lol but so true about all of the other areas of being confined mentioned above. We can be confined in our straight jackets he he. I too am very intrigued by this, and by "OTHERS choose them for us". He could have said "life/fate/destiny chooses them for us". He said OTHERS. :? what does he mean about being confined? he is not physically confined . does he mean by contract ,gage order ,what? Nothing to to with his twitter messages. I found this pic on the net, is MJ lawyer Londell Mcmillan, looks a bit like a pseudo Murray. seems like he is talking about being forced into doing something by someone else. but who is he speaking for himself or michael ? I was looking on twitter right now and I saw that his latest twitts disappeared. Could this be a twitter bug or he really deleted them? .. as if he was far away,and can't be with them :? "Happy Holidays" rather than "Merry Christmas".. i just notice he has left religion out of the sentiment. Well maybe he just doesn't want to leave any of his fans out. Like if he said Merry Christmas, people that celebrate Hanukkah, Kwanzaa, & such might feel a little put off. :? I think he is a baptist... :? DrConradMurray Good morning. I am doing well. Thank you for your concern. God Bless. isn't it intriguing that no one has been on this thread since end of dec. and murry has not either. then someone reads it and boom he post. Well I hope that means that Doc M pops in here from time to time. Hi Doc M, I'm a fan. Glad you are doing well. Would you give me a shout out someday? It would make my month! Well if it's coming from MJ's little workers, he sure has all the bases covered in this hoax. Keeps us thinking and wondering and holding on for the long road till BAM! I wonder who asked him how's he doing :? These lies depict a monster and not a human being. Time and time again the tabloids will fabricate stories during a trial. Okay - so, taking his past statements that are parallel to MJ's, these statements also fall in line with what Michael said during the 2005 trial, correct? Thanks for posting this alert. Murray is back. I agree...I was just thinking the same thing while reading them.. I Agree - my thought is that outside of Michael's supporters (who know is character), most did not listen to what he had to say. To them he was just another celebrity who thought he was above the law. They thought he was trying to cover for his actions. People like Diane Dimond and Nancy Grace fed this notion as well. It appears to me that Murray has become Michael's voice. He's saying the same things that Michael said but with a different outcome. Is Nancy Grace or Diane Dimond all over him for his statements? I don't think so. I think so, I think the same about it.Murray is his messenger, so it seems. I believe it is Michael saying this because...don't you think Murray would of said something like 'their making me out to be a monster' or something like that instead of saying "these lies depict A monster" so it's like as if someone else is talking for him. So where is Muray now? I remember a while back TMZ posted an article in which they said it was a fake account. I remember I tried hard to understand why they would report it. I still don't know :) But since I, unlike many never believed TMZ worked for Michael, I only believe his people feed them from time to time, I think there is something really important about this account. Sort of messages directly from Michael. Or someone just plays with us. But considering many fake accounts that i was fortunate enought to have chats with, I think his way of tweeting is very different from them. He tweets once in a blue moon and it never looks like he wants to get the attention. Yet he gets it way more than all those fakes. MJFAN7, thank you for the link. bearhug I have read 3 pages so far, but I already see almost everyone thinks it's Michael himself. I have just had enough. My life has been in ruins for the past two years. Michael stood by innocent until proven guilty, please extend me the same courtesy. Thanks Steph...he is so right, I guess people are just not getting it, nor will they ever...and even though Murray is talking about himself in this instance, fans of MJ should carry on the message of love in other ways, in the way they respond to others, like on twitter to the believers. so is there any news of something actually happening as he suggest? Thank you for posting this - I wondered if we'd hear from him around this time. Also, Michael's last court ordeal was two years long. When he wrote that I immediately thought of the 2005 trial. [glow=red:n9h8zal0]Also, Michael's last court ordeal was two years long. [/glow:n9h8zal0] When he wrote that I immediately thought of the 2005 trial. Well remembered, Voice! Michael has come a long way court between 2003 and 2005. Another coincidence between the two cases. "Tell the angels no... Heaven can wait"! Poor Murray! I understand the (nonbelieving) fans though. He is the main suspect in murdering Michael Jackson. If they did some research however, they would know the truth! Just like the cruel ones that stood outside of court in 2003-05 and called Michael a pervert, they were proven wrong. Hopefully the nonbelievers will be proven wrong (both for calling Murray a murderer and for calling us crazy) when Michael comes back. Why Does MJ Have a Pot Belly? It's Odd...Does Perez Hilton have insider info?